The PAFD Press Release on Execution of Oromo’s Pregnant Woman and the tragic Death of the Prominent Engineer Simegnew Bekele. A heavily pregnant Oromo woman, known by the name ‘Berhane Mamo’ who was in the middle of going to health institution to give birth as she was having labour was brutally murdered with her unborn foetus by the security forces given direction by the new PM Dr Abiy Ahmed’s government on July 23, 2018. 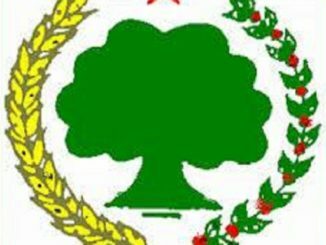 The indicated unsettling crime has unfolded in West Oromia, Qelem Wolaga Zone, and Dambi Dolo town, Kebele 04, where the victim with her family lived until her life was cut short. When she was murdered, her family members were taking her to health institution to give birth. 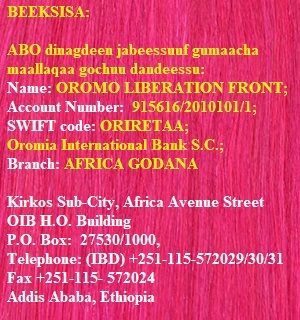 Instead of giving birth and having her new born in her arms, Berhane and her unborn baby were summarily executed. The Ethiopia’s security forces and army in particular ‘Agaazi’ TPLF/EPRDF’s killing machines are known for committing such horrifyingly barbaric crime for the last 27 years. 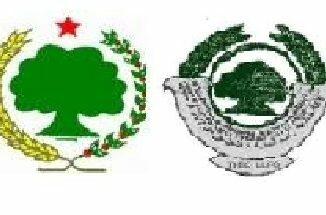 These forces have committed repeated mass-murder in Oromia in addition to the Oromo’s thanks giving festival of October 2016 massacre where over 800 Oromo celebrant were also summarily executed. 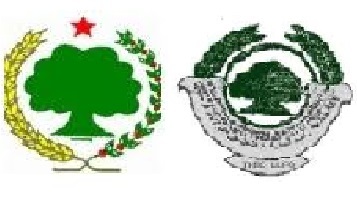 These forces were the ones who have committed repeated genocide in Ogaden Somali, Gambella, Sidama, Amhara, Konso, Sheko-Mezenger, Benshangul and elsewhere in Ethiopia for the last 27 years. Besides, committing crimes of such magnitudes on a pregnant woman under intense labour pain defies humanity to reveal the nature EPRDF’s government although the new PM vowed to end such barbarism, albeit his rhetoric proved far from the reality. Such sadistic actions of Ethiopian security forces to the helpless and powerless groups of society show that, the country is far from seeing a glimmer of hope for its project of democratic transition. As fellow mankind, looking at the murder committed on a heavily struggling woman with labour pain is extremely mind-boggling and unsettling reality the current peoples of Ethiopia are living under. Moreover, about 400 civilian deaths were reported to be having been committed in Oromia alone by the security apparatuses of the new PM since he has assumed power on 02, April 2018. Yet the murder of this nature is the most abhorring and nauseating crime mankind hardly tolerate. Ironically, the new PM Dr Abiy has promised that such massacres of the civilians will be a history although it has become a daily phenomenon. Furthermore, the mysterious death of the nationally famous Engineer, Simegnew Bekele, who has been found dead on an early hours of July 26, 2018 in Finfinnee (Addis Ababa) sheds further lights on how volatile the country’s direction is, needing clear and serious attention of all stakeholders. The indicated victim has been leading the highly publicised, Great Ethiopian Renascence Dam (GERD) since its inception until he has been found dead in his car on the indicated date. We, the members of the PAFD found the murder of a heavily pregnant woman on labour, Mrs Berhane Mamo revolting acts of barbarism that must be unanimously condemned not only by all peoples in Ethiopia, but also all peoples of the world. We urge the Ethiopian PM to urgently stop such barbarism to civilians and bring those who have committed such abhorring crime to a pregnant woman and to the rest of civilians in various Oromia Zones and villages and elsewhere in Ethiopia to justice. We also urge his government to unconditionally stop the on-going campaign waged on Oromo people under the pretext of OLF army. We strongly once again urge the Ethiopia’s new PM to honour his promises instead of filling the people with vacuum and rhetoric. We urge the Ethiopia’s new PM to unconditionally call for an all-inclusive conference that paves way for genuine democracy and rule of law in Ethiopia. We also urge all peoples in Ethiopia, the international community and human rights organisations and political key players to unanimously condemn the murder of Mrs Berhane Mamo, Engineer Simegnew Bekele and reiterate that the Ethiopian government must bring those who have murdered both to justice. We also call up on the Ethiopian government to thoroughly investigate about the mysterious death of Engineer Simegnew Bekele, who has served his country with his profession. Finally we send our deepest and heartfelt condolences to the families and friends of both victims of such horrifying crimes. 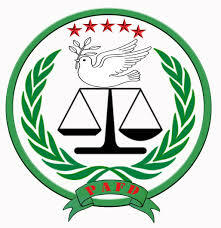 Justice, Freedom and Equality for all peoples’ in Ethiopia.